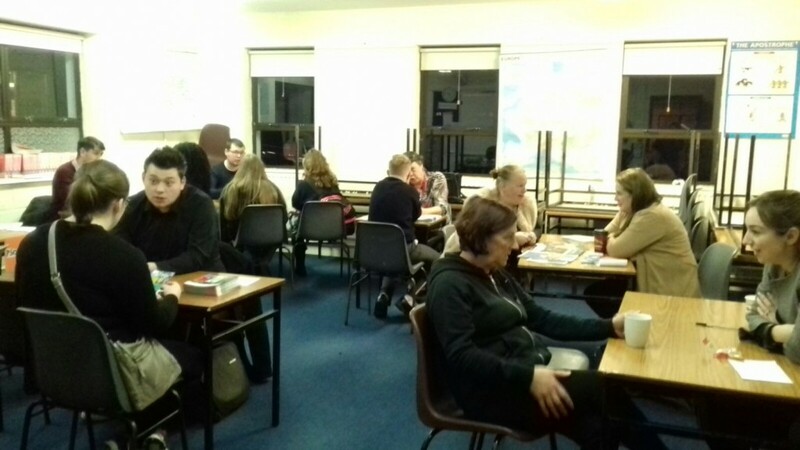 The Guidance department along with the Parents Council organised and ran a hugely successful ‘Occupations Evening’. All third year and senior cycle students along with their parents were invited. We had an exceptional turn out of professionals. Students had access to a room dedicated to Engineering and Technology. The engineering sector was well represented from civil to mechanical, energy and aerospace engineering. Eoin Dowling, a past pupil of St Paul’s, kindly offered advice in the area of Electrical Engineering. A sincere thank you to the parents in the Engineering room, namely John Reilly, Joe Carroll and Keith Lovern. Your time, patience and guidance was appreciated by many of our eager students. Leinster rugby is not confined to Dublin. Leinster rugby’s scrum coach, John Fogarty, attended our careers evening. Many students sought his advice on a career in the world of sport. The medical room were all there on hand; Shonagh Mooney GP helped and guided those with an interest in a career in medicine. Lynda Morgan answered questions on a life as a Pharmacist as did Ciaran Haberlin with Physiotherapy. More females than males poured out to room 22. Midwife Anya Tee and past pupil Stephanie Ryan spoke about the ups and downs of midwifery. Past pupil, Lisa McDonagh and parent Antionette Fenlon Carroll promoted general nursing. Intellectual disability nursing seemed to have a lot of enquires from our male students. This was great to see. Niamh Dempsey, the public health nurse said that her job was the best of the lot!!! The occupational and speech and language therapist disagreed! Kildangan stud supported us once again by representing careers in equine. Des Groome advised the students on veterinary courses and parents on some home kept pets. Teagsac were so kind sending two agricultural graduates. Trevor Kavanagh and past pupil Dave Fitzgerald spoke with many students interested in Pharmaceutical science. The Arts/social science room was a very busy place last Thursday evening. Students showed huge interest in social work, social care, youth work and psychology to name a few. We would like to thank our past pupils who created such a wonderful buzz in this room, Dean Farrell, Bill Bailey and John Whelan. Parents, Catherine Harrison and Sunniva Clegg kindly offered their advice on social care. Our students got to reconnect with an old primary school teacher, Emily Cleary in our Education and Vocation room. Teaching proved to be popular and Eoin Stafford, Emma Scully and Sara Walsh definitely did the profession proud. Fr Liam also attended and was keen to recruit new members. The students were hugely impressed with the Solicitor Fiona who worked for massive companies. Failte Ireland sent a manager, Justine Whyte to represent tourism. Sarah from marketing at Horse Racing Ireland and Aisling Garrett from AIB talked about how they studied general business and then specialised. I got to speak with Zandra Horgan the tax advisor and then onto Aideeen Carroll of KPMG for some investment advice. Niall Stafford, the accountant was stuck to his seat all evening. Creativity is at an all-time high at St Paul’s. Huge interest for art, architecture and design was shown on the night. Thank you Ms Comerford and Diarmuid O’Neill. St Paul’s has a great rapport with Carlow IT. I expect that Niall Creery from the aerospace engineer department and Fiona Dawson from the Quantity surveying programme, IT Carlow, gained a few students for 2018 entry. The students, teachers and guidance team would like to say a massive thank you to all who gave up their time and guided our students with passion and enthusiasm. We enjoyed the night immensely. A big thank you to our incredible Parents Council for their continuous commitment, hard work and support in helping to run career events. Let’s get working on the next career evening, February 8th. We hope to see you there. Next story St Paul’s School Bank re-opens!